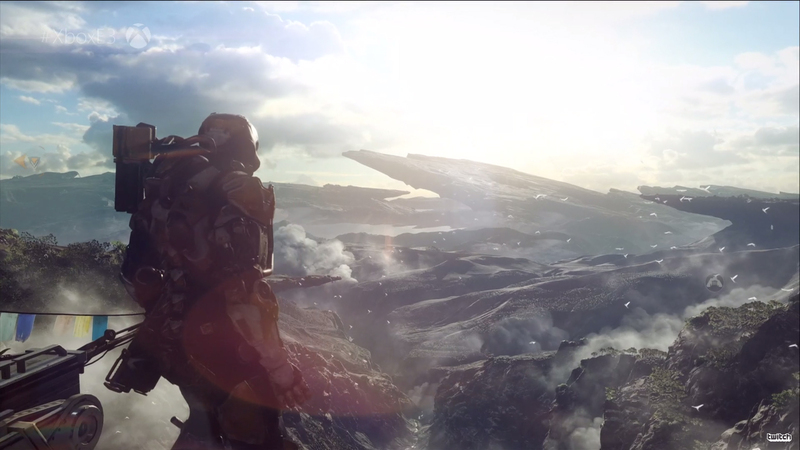 If you’re looking at Anthem as a vintage Bioware take on Destiny then you’re going to be sorely disappointed. This is unlike anything they’ve ever done and feels quite different from everything else on the market. Playing the demo this weekend, I find it hard to believe this came from the studio who put out Dragon Age Inquisition just a few years ago. This is definitely a new side of Bioware, and while the first few weeks of 2019 are hectic with big releases, after spending some time with the VIP Demo this weekend, I think Anthem definitely has the potential to be the next big thing in the multiplayer space. But there’s a lot of work to do. Let’s start with the gliding. The glorious, incredibly satisfying, free-flowing gliding that lets you swoop in and out of combat, take pot shots, and tour the landscape like you’re Iron Man. It’s not necessarily anything new for an over the shoulder shooter, but there’s a real slickness and finesse to it that just didn’t get old from the time I first jumped into a Javelin to when I was forced to leave it. And seriously, they need to offer an Avengers style costume as a paid cosmetic early on because it’ll sell by the bucketload. It really seems like Bioware have been generous with the airspace available to you as well. There’s only a few parts of the environment you can’t fly beyond or past, and sometimes you can’t fly if you’re carrying an item, but all in all, you’re given plenty of flexibility and manoeuvrability to get around and it opens up maps in new and interesting ways. Combat is also well designed, everything from the feel of individual weapons to the recharge rates, big explosive blasts, and ultimate activation abilities which can take down majorly destructive forces and small armies of SCAR with the flick of a D-Pad. It definitely gave me Mass Effect 3 multiplayer feels, though it’s way more polished and refined. I was actually quite impressed with the balance of combat and also how much skill is involved. Defending yourself is just as important as spamming the right trigger and you can scoot around as well as use environmental cover spaces, and, of course, fly. Being able to rain down attacks while gliding above is also as fulfilling as you might expect. Just watch out for that overheating or you’ll have a pretty uncomfortable collision on the way back down. I love the idea of being able to change your Javelin before each mission as well, with each one having unique properties which make them better suited to the mission at hand, but also to your style of play. There’s the more agile, fast-paced type that can take less damage or the big juggernaut type that’s basically an oversized tank. It’s a nice touch and it’s easy to imagine that you’ll need a combination of all four for the games’ later missions. The customisation possibilities with the Javelin are also interesting, enabling you to add buffs to armor slots with collectable components, switch out weapons, create unique loadouts, and even tweak the appearance. Potentially, it lends itself to more versatility than Destiny, but that remains to be seen. Bioware also seem to have their narrative and lore nailed down. There’s only a small sample in the VIP demo, but the game comes with a three mission arc which sees you work with a man called Matthias to collect a relic that amplifies the properties of whatever it is augmented into. This narrative structure plays out as if it’s two seperate games with the first person hub-like world, and the third-person action adventure. When assigned a mission, you go out into the world as the freelancer in your Javelin, shooting birds and robots, collecting things, solving a puzzle or two, then come back to base with the rewards. When you’re back, you stroll around, talk to vendors, shop at their shops, have a bit of back and forth banter, and progress the story with a series of multi-choice narrative options. This is where Bioware can really make something different of Anthem. By making those choices matter, they can also build a world shaped around your personality. There’s definite potential for Paragon / Renegade but that’s not massively explored in this demo as the conversation doesn’t really paint you in a positive or negative light. I’m intrigued to see how that system is used in the full game and, in turn, how the world around you is affected as well as your relationships with other characters. Does it eventually translate further onto a global, multiplayer stage? One thing is for sure, by using the Frostbyte engine Anthem looks stunning. Characters really show emotion in their expressions, the world is a dynamic, visual tour-de-force, and when the game was running smoothly, it ran like butter. If done right, this could really be an evolutionary step forward in giving games in this genre some much-needed personality. Destiny constantly puts me on autopilot while racking up a ridiculous body count to do a fetch quest. I definitely have some concerns, though. For starters, Anthem has an overabundance of loading screens when you get into missions. While they’re present in Destiny, they usually only happen towards the beginning and end of missions so they don’t break up the momentum. Just when I felt like I was getting into a gaming rhythm with Anthem, the game took me to another area and forced me to wait on a black screen. It got tedious really quickly and took me out of the game time after time. True, it probably didn’t help that this came on top of the school of errors with the network issues and the game sometimes not loading properly. I was probably sick of loading screens by the end of the weekend, but they were definitely noticeable and it made me wonder how prevalent they’ll be in the main game. Anthem also lagged a lot. Admittedly, I’m not massively concerned about this as it was an early build and obviously the game is still in stress-test stages. But the hub world chugged almost every time I walked through the bustling marketplaces and strolled into bars. And trust me, it happened on PC, Xbox, and PS4 because I had to download the demo on each just to try and get into one game during the first two days. We’re only four weeks from launch, so that is a little concerning. And as you’ve probably already heard, the servers buckled big time. The VIP Demo access was only for those who pre-ordered the game, received friend codes, or were given press access, but honestly, it was a pretty poor show as there was definitely more downtime than up. 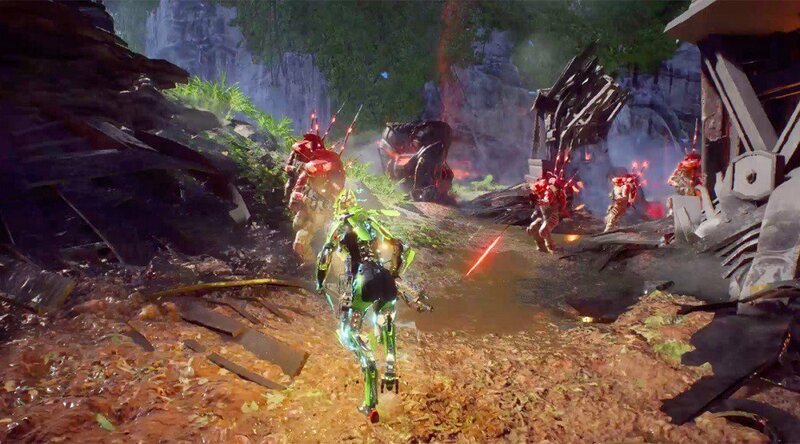 Sure, it’s hard to prepare for the overwhelming popularity and Anthem has received a lot of hype these last few weeks, but while the appetite was instatiable, next weekend there will be an even bigger test because everyone can play Anthem. How EA and Bioware manage then, who knows. I also found some missions went on a bit too long and I got a little bored because objectives started repeating themselves. It also wasn’t always clear what I had to do or where I had to go. Which was made even worse when I had to face an additional loading screen because I was slightly split away from my teammates who’d found a way forward. One thing was made abundantly clear this weekend, between the hiccups, breaks in game time, and switching perspectives, Anthem is not a seamless experience. 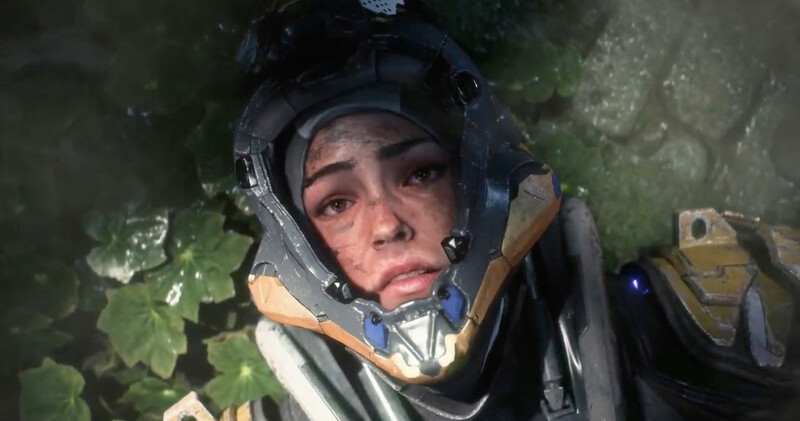 It’s potentially a good one, with some definite positives, but it’s going to take a lot to win people over and with the likes of Metro Exodus, Crackdown 3, and Far Cry New Dawn out the same month, then The Division 2 hitting in March, you have to wonder how much of a chance Anthem will genuinely get. 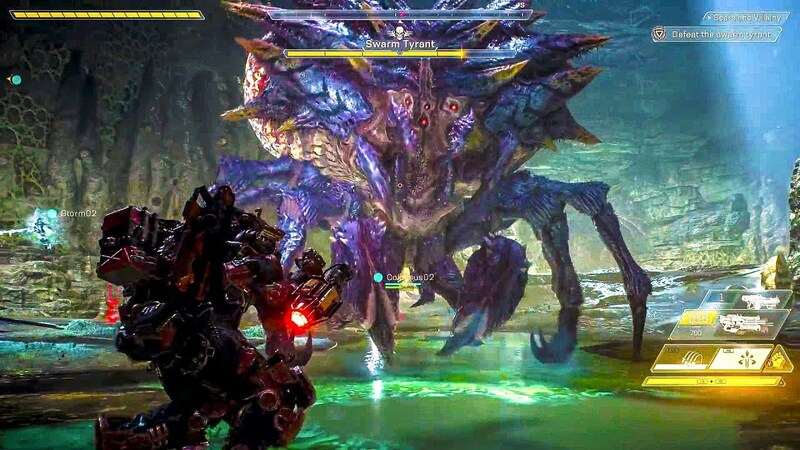 Anthem has borrowed elements from major franchises and slotted them together to build something different that actually works well, albeit with a few caveats. I’ll definitely play again this weekend to see what Bioware and EA learned from this weekend’s experience, but also because, despite the technical hitches, I actually had fun. Admittedly, this doesn’t feel like the Bioware I know or love. True, I’ve played the smallest portion of the main game, but I barely recognise this studio anymore and that does make me sad. That said, there’s just enough of a trace in them in here that I’m optimistic the best is yet to come in the full game. This studio gave me some of my favourite games of all time and on that merit alone, I’m willing to give Anthem a chance to really win me over.